Spring Cleaning does not have to be stressful. It can be fun and can be a way you bring back the spark in your home. Start with items you have stopped using, if its been more then a year. Time for it to go, be honest with yourself. If you still needed it. Try utilizing space by storage binds. The can be organized to look good, placed under the bed, or in the back of a closet. By doing so will free up space. When starting your spring cleaning, go room by room. You don’t have to stress your self out about clean the whole house. Start with one room cleaning it from top to bottom, but start with the toughest items first, but make it fun. Turn on some music. Junk Monster can help you with the rest. 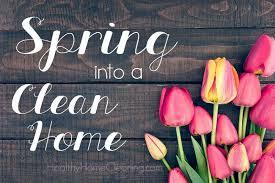 We will removal all your unwanted spring cleaning items. Junk Monster will donate items, recycle items, and dispose of your items properly. Letting you get back to Spring activities..